Is it possible to hack an ISO to play a different music file instead? Example, I walk into the Giza Plains in FFXII, can I change the song that plays in-game? Or is this not possible? Even if I had to make the music files the same bitrate/hZ as the original it'd still be cool. Thanks for answering! The main thing you'd need is an encoder/muxer to put it in the format the PS2 expects. It's very unlikely to be something as simple as an mp3, it's likely an mpeg2 layer 3 stream in a custom container would be my guess. (04-02-2016, 08:14 PM)Blyss Sarania Wrote: The main thing you'd need is an encoder/muxer to put it in the format the PS2 expects. It's very unlikely to be something as simple as an mp3, it's likely an mpeg2 layer 3 stream in a custom container would be my guess. If a game has all songs in seperate files or two games use the same format, it should be possible to exchange songs without too much trouble. But a lot of games group all content in one file, making it a very difficult task. (04-02-2016, 08:24 PM)FlatOut Wrote: If a game has all songs in seperate files or two games use the same format, it should be possible to exchange songs without too much trouble. But a lot of games group all content in one file, making it a very difficult task. Ahh darn. Yeah that pretty much makes it impossible. Anyway to look into if FFXII does this? (04-02-2016, 08:26 PM)ggmaniac Wrote: Ahh darn. Yeah that pretty much makes it impossible. Anyway to look into if FFXII does this? Look on the disc/in the ISO. If there are seperate tracks they're usually in a sound/music folder. 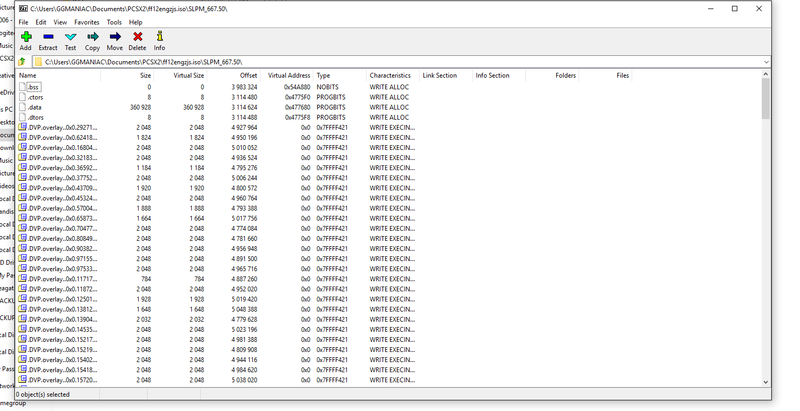 A lot of those archives can either be unpacked with 7zip because they use LZ or LZMA, or have an unpacker available on Xentax. Even if they don't they tend to be really simple formats, for instance the archive formats Shin megami tensei games use are just literally concatenated files with a header added to each chunk. I worked with that a lot when writing TMX explorer. But yeah once you get the files out it's still a question of format. Most will be using something sane like MPEG2 Layer 3 or PCM or whatnot, but generally in a custom container format. However, if the stream is a standard format, something like VLC or FooBAR will play it. But for swapping tracks, yeah. It might be possible to find another game with tracks in same format and swap those in, but putting your own stuff in will require knowledge of the container format. (04-02-2016, 08:52 PM)FlatOut Wrote: Look on the disc/in the ISO. If there are seperate tracks they're usually in a sound/music folder. WINRAR does give an extra folder but nothing with music folder, just jumbled mess. Yeah I checked - FFXII IZJS is using a nonstandard disc layout. 7zip doesn't like it. (04-02-2016, 09:03 PM)Blyss Sarania Wrote: Yeah I checked - FFXII IZJS is using a nonstandard disc layout. 7zip doesn't like it. 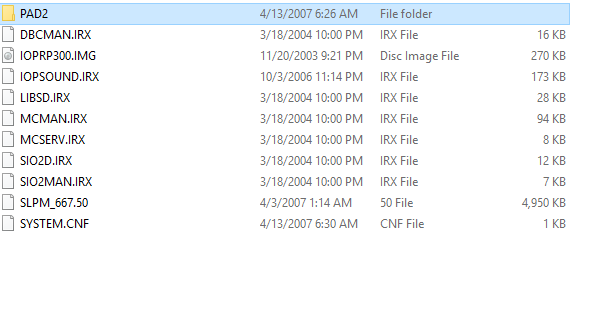 Even viewing all with 7-zip shows the extra folder, but it won't extract it.?? Yeah the original disc seems to have had some dummy data, incorrect LBA, or suspiciousness about it that made the ISO nonstandard and 7z does not like that. You might try a program like ISOBUSTER or something to get at the data.